Biography: Dr. Ghassan Saleh Ahmed Salama is a Consultant Neonatologist at Gurayat General Hospital, Saudi Arabia. 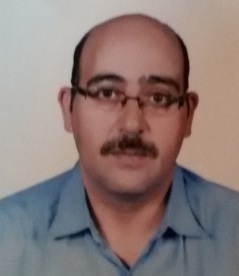 He worked as a Consultant of neonatology in the Pediatric department at Royal Medical Services and Clinical trainer for medical students at Faculty of Medicine /Hashemite University in 2011-2017, Head of the pediatric department at Prince Hashem Miletary hospital (JRMS), Zarqa-Jordan in 2016-2017. He published more than 120 different publications. 1. Salama GSA, Kaabneh MAF, Al-Raqad MK, Al-Abdallah IMH, Shakkoury AG, et al. (2015) Cyclopia: A Rare Condition with Unusual Presentation – A Case Report. Clinical Medicine Insights: Pediatrics. 2. Salama GSA, Kaabneh MAF, Almasaeed MN, Alquran MIA (2015) Intravenous Lipids for Preterm Infants: A Review. Clinical Medicine Insights: Pediatrics. 3. Salama GSA, Ayyash FF, Al-Rabadi AJ, Alquran ML, Shakkoury AG (2015) Nasal -IMV versus Nasal-CPAP as an initial mode of respiratory support for premature infants with RDS. A prospective randomized clinical trial. Rawal Medical Journal 40: 197-202. 4. Monther O, Ghassan S, Asmahan T, Riad M, Yazan G (2014) Feeding Practices in the North of Jordan. Journal Of The Royal Medical Services 21: 11-16. 5. Ghassan S (2012) Early aggressive intravenous fat emulsion decreases the incidence of retinopathy of prematurity, The New Iraqi Journal of Medicine. 6. 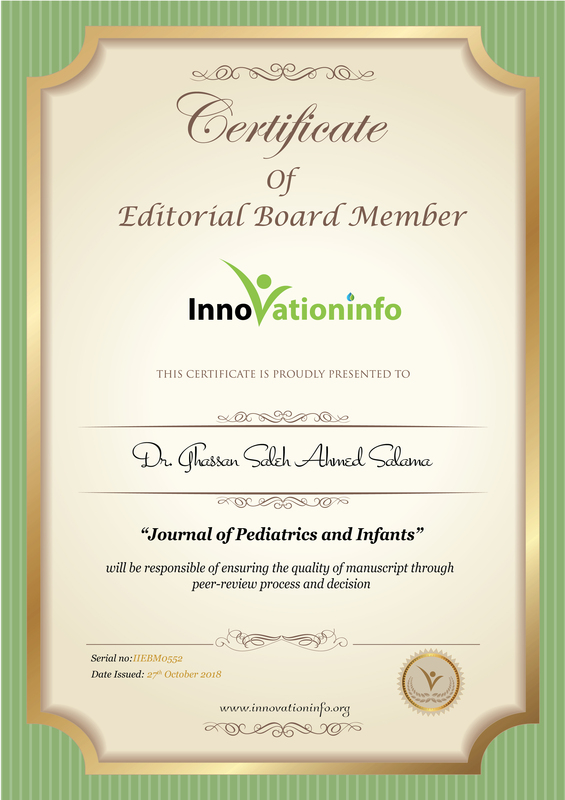 Salama GSA, Monther O, Alhadidi A, Frehat M, Khlefa A (2013) Randomized Clinical Trial of Early Aggressive Versus Late and Slow Intravenous Lipid Infusion in Preterm Infants and Bilirubin and Lipid Profiles. Journal of The Royal Medical Services 20: 50-56. 7. Salama GSA, Al-Raqad M, Kurdi N, Abu-Karaki MM (2013) A Combination of Larsen and Adams - Oliver syndromes in a Jordanian newborn. A case report. Middle East Journal of Internal Medicine 6: 37-40. 8. Salama GSA, Draidi YMA, Ayyash FF, Zoher FM, Al.-Harbi TG (2012) Is surgical treatment of gingival and palatal cysts of the newborns necessary? Pakistan Oral & Dental Journal 32: 7-9. 9. Salama GSA, Draidi YMA, Ayyash FF (2012) Impact of Total Parenteral Nutrition on Deciduous Tooth Eruption of Very Low Birthweight Premature Infants. Pakistan Oral & Dental Journal 32: 75-80. 10. Salama GSA, Alhadidi A, Ayyash FF, Khlefat A, Twall ESA (2012) Nasal SIMV as an initial mode of respiratory support for premature infants with RDS. An observational study. Middle East Journal of Internal Medicine 5: 17-23. 11. Al-Waysha F, Khader M, Al-Issa A (2011) Nosocomial Outbreak of Serratia Marcescens in a Neonatal Intensive Care Unit at King Hussein Medical Center. Journal of The Royal Medical Services 19: 61-64.